Second-highest rated Indian, Grandmaster Pentala Harikrishna has clocked two straight wins in Rounds 8 and 9 beating Hikaru Nakamura and Arkadij Naiditsch. Meanwhile, Armenia's Levon Aronian - the world no. 2 - retains lead a full 1.5 points ahead of the rest of the field. Earlier, in Round 4, the Indian Grandmaster drew with Loek van Wely. In Round 5 Harikrishna lost to Anish Giri and allowed Fabiano Caruana to escape with a draw in Round 6. Harikrishna lost to Richard Rapport in Round 7, but returned to pick up two straight wins in Round 8 and 9. World No. 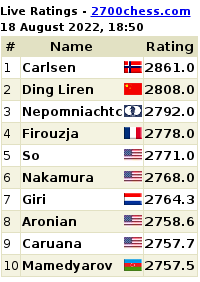 2 Levon Aronian continues to lead the group and is set to win the title with only two rounds to go. 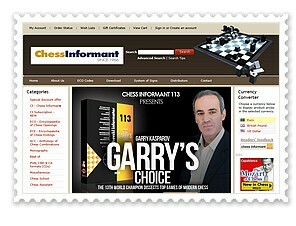 The 76th edition of the Tata Steel Chess Tournament is taking place January 10-26, 2014 in two groups (instead of the traditional three), with twelve players in each, instead of fourteen. Two rounds will be played in Amsterdam and Eindhoven. India's second highest rated chess Grandmaster, Pentala Harikrishna is cruising along in joint lead at the 76th Tata Steel Chess Tournament in Wijk aan Zee with two points from three rounds. Tuesday was a rest day. The fourth round resumes on Wednesday and you can watch it Live at the official website. Harikrishna has scored two very commendable draws versus World No. 2 Levon Aronian and World No. 11 Sergey Karjakin. In the first round, Levon Aronian said, "it was a strange game" and he did not feel that he could push his position too much. Both players agreed to a repetition of moves. In the second round, Sergey Karjakin and Pentala Harikrishna quickly reached a position in the Queen’s Gambit declined that looked highly drawish. Karjakin had the slightly better bishop but Harikrishna defended adequately for a draw. For the third round, Pentala Harikrishna and Leinier Dominguez played out a Sicilian Najdorf. Neither player managed to obtain a clear advantage out of the opening. An endgame with both sides having rooks and opposite-coloured bishops was reached. Harikrishna later said: “His moves 27. …b6 and 32. …a5 were too committal and after that only I could play for a win.” Dominguez was left with a difficult defensive task and when Harikrishna pushed his passed d-pawn things got dangerous for Dominguez. When Harikrishna obtained a passed c-pawn as well it was only a matter of time before the Indian Grandmaster got his first win of the tournament. Round 4 - Wednesday the 15thGiri, A. - So, W.
Gelfand, B. - Naiditsch, A.
Aronian, L. - Nakamura, H.
Karjakin, S. - Rapport, R.
Dominguez, L. - Caruana, F.
The Tata Steel Chess Tournament has two main tournaments. They are played according to the 'round robin' system, whereby each competitor plays in turn against every other during the tournament. The Tata Steel Masters has 12 players and the Tata Steel Challengers has 14 players. Both groups start on January 11th 2014. All rounds in Wijk aan Zee begin at 13.30 hours, except for the last round on January 26th, which begins at 12.00 hours. The two rounds in Amsterdam and Eindhoven start at 14:00 hours.